So you love the classic and melodic sound of great acoustic guitars, but you want to play LOUD, or possibly just be heard all the way to the back of the crowded venue? A good acoustic-electric guitar may be just the compromise you’ve been looking for. For those of you who don’t know, an acoustic-electric or plug-in guitar is a guitar that has been fitted with a pick-up and typically a preamp as well. Plug your acoustic-electric guitar into your guitar amp and “VOILA”, y﻿﻿our acoustic sound can now be amplified to be heard as loud as you, or your audience, would like. 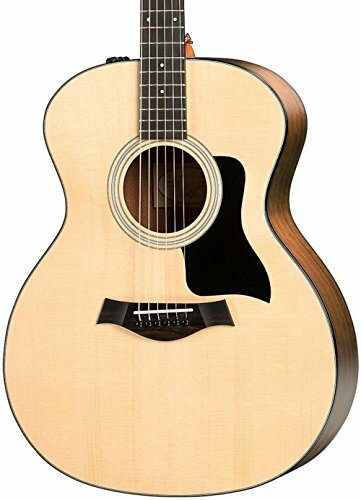 We’re going to start with the Taylor 100 Series 114e Grand Auditorium for our list of the top acoustic-electric guitars for no other reason than this beauty resides in my own personal collection. Actually, there are many reasons you want to add the Grand Auditorium to your musical playlist as well. I’ve always had a soft spot for the pure aesthetic appeal of the Seagull Acoustics, and the Seagull Entourage Rustic CW QIT certainly doesn’t disappoint with a gorgeous, signature Seagull burst finish. But looks are nothing if a guitar can’t play beautifully as well. Since we’re talking about acoustic-electric guitars that look as good as they sound, I’d be remiss to not add the Fender Tim Armstrong Hellcat to this list of top acoustic-electric guitars. Based on the infamous 1960’s acoustic played by the punk rock legend Tim Armstrong of Rancid, I could devote an entire article to the artful styling on this guitar, which is why it consistently ranks at the top of acoustic-electric guitar reviews by players of all levels. Epiphone has been making the Hummingbird-style guitar since its early days as a newcomer to the music scene. Now the Hummingbird Pro is back and modern players can experience the same enjoyment from rocking out on a legendary piece of musical history. Wood is king with acoustics, and the Hummingbird Pro features a solid spruce top with select maple back and sides. The full-size dreadnought style body features a built in preamp which will let you jam out onstage with even the loudest electric and drum combo. Rounding out our list of the best acoustic-electric guitars, the Yamaha L-Series LL6 is a functional, reliable and great-sounding guitar. 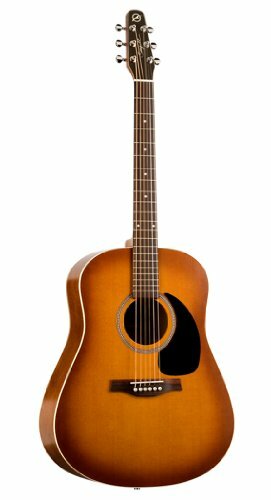 The LL6 features a solid Engelmann spruce top that’s treated with Yamaha’s ARE (Acoustic Resonance Enhancement) technology. This gives the guitar the rich tone that you’ll only find on guitars that have aged for many years. The clarity you get from the Yamaha preamp is phenomenal, even without any equalization options. Yamaha also offers an exceptional warranty and top notch customer service. It’s easy to see why acoustic-electric guitar reviews consistently rate the LL6 as the go-to workhorse of choice for both pro and amateur musicians alike. There are more expensive models out there, but the guitars on this list hit the sweet spot for quality construction, great sound, and excellent value. This should serve as a great starting point for finding the best instrument for your needs. When it comes to versatility, you can’t beat a good acoustic-electric guitar. Whether you want to play quiet acoustic in your living room, plug into a recording system, or rock out at a gig, you’ll be ready for any occasion or venue plugged in or unplugged. I enjoyed the rundown in the article “The Best Acoustic-Electric Guitars: 2018 Reviews and Buyer’s Guide”. But damn,! I cant stop looking at the finish of the acoustic in the top image of that article. Would you mind telling me what model that is? Or even venture a guess. I love that crazy-wood look. Looking for the perfect acoustic guitar?Check out our detailed buyer's guide!